TVNZ’s on-demand ambitions have taken a quantum leap forward with this evening’s announcement it’s acquired the first Doctor Who series to star a female Time Lord. The broadcaster has yet to confirm which channel season 11 will screen on but says it will stream episodes at the same time they appear on the BBC’s iPlayer. This will further drive traffic to a platform that TVNZ’s been beefing up with significantly more premieres, many of which will remain exclusive to TVNZ OnDemand. It’s not clear yet if the coup includes Doctor Who’s back catalogue adventures but it is a stand-alone deal — meaning the BBC isn’t tagging the sale with a bundle of lesser series that TVNZ’s obliged to run. UPDATE: TVNZ has confirmed it has rights to only season 11. It’s been 22 years since Doctor Who aired on TVNZ. Prime has been the show’s home since its new-millennium reboot but despite often airing it within hours or days of the UK, the ratings have never rewarded the investment. Another BBC series that Prime may have lost is The Durrells. It’s screened only one of three seasons and the BBC is in talks with other broadcasters about where subsequent seasons may screen. Also on the open market is A Very English Scandal, the highly acclaimed BBC dramatisation of British Liberal Party leader Jeremy Thorpe’s downfall. Doctor Who is returning to TVNZ after a 22-year absence. The iconic BBC programme, which last appeared on TVNZ channels in 1996, is returning in time for the Thirteenth Doctor’s appearance. 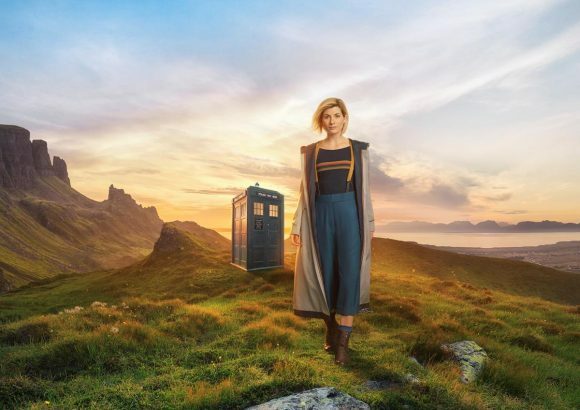 The highly anticipated eleventh season casts Jodie Whittaker (Broadchurch, Trust Me) as the recently regenerated, time-travelling extra-terrestrial known as The Doctor – the first woman to occupy the legendary role. TVNZ Director of Content, Cate Slater, says: “Doctor Who has a special place in popular culture. It’s a global juggernaut with a faithful following. This upcoming season marks the beginning of a new era for the extraordinary Time Lord, with the first ever female Doctor at the helm of the TARDIS. The announcement of the programme’s return to TVNZ was teased to viewers with a new 40-second promo released earlier today in the UK appearing simultaneously across TVNZ 1 and TVNZ 2 shortly before the evening’s 6pm programming. The promo, now available to stream at TVNZ OnDemand, showcased the new Doctor and her friends. The new season of Doctor Who features ten 50-minute episodes, including a feature-length opening episode. TVNZ will stream episodes on TVNZ OnDemand immediately following the UK broadcast (at the same time episodes appear on BBC iPlayer), allowing New Zealand fans to engage in worldwide discussions on the show without the fear of spoilers. Episodes will also play on broadcast TV the same week as the UK. Further details confirming the channel, day and date will be released closer to the season’s premiere. Doctor Who is a BBC Studios production. Critical Condition: Who Is America? Awesome. Will be great to see it in HD finally. Good point, Aaron. Anyone who doesn’t subscribe to Sky won’t have seen Prime’s Doctor Who transmissions in HD, as the channel remains SD on Freeview. TVNZ will not only air Doctor Who in HD but also will stream it in 1080i. I’m really excited about Jodie Whittaker being the new Doctor, I think she will be incredible, also I see there will be new monsters, can’t wait. Stream it in 1080i? That’s the first I heard about it. I first mentioned it in this post about Killing Eve: http://www.screenscribe.net/channels/killing-eve-at-last-lands-air-date/. I had planned to write about it in more detail in a post about the new-look Freeview but like the pending Sky HD update, it’s still in the works. Free of advertising???? I gotter check this out!!!!!!!!!. I can get no ads on OnDemand using adblock on the websites!! Unfortunately, the picture is absolutely rubbish. Will we ever see 1080 on the websites? Hey, Rosco. Three says Blue Bloods will return in the next few months. It’s not saying when or where but I imagine it will replace Humans. It rated well when it aired 9.30 Mondays last year. Thanks Phil – I’ll keep my eyes peeled for your “heads up” articles. With all the recent “breaking news” stories and now different ways to access quality TV (you can now thankfully avoid all the reality cr*p pretty easily) it’s like TV bosses have upped their game and there is actually some pretty decent stuff out there now, and also thankfully more is being shown in HD. Wonder if TVNZ will cut Doctor Who down to fit in the commercial hour format? But will Doctor Who go on TVNZ Duke, 1 or 2. Can you tell me where this will end up? I checked out Freeview OnDemand. Currently I still have the current version and not the newer one. Played an ad and then standard definition video. I couldn’t last more than 2 minutes on that damn thing. My TV model is Samsung KS9500 65-inch. TVNZ isn’t saying but I’d pick it for TVNZ 2. Hey, fsmith. I’m currently appraising a Samsung Q9F and Freeview OnDemand looks great. Have asked Samsung to clarify when earlier series are being updated.